I know game development is challenging. I really do. I thought I wanted to be a game developer for the majority of my childhood until I realized I’d much rather play, analyze and criticize things in my favorite medium. During the early years before my epiphany, I put together one unfinished amateur project after another — and without even programming, using tools like Multimedia Fusion and Construct 2, it dawned on me just how long and difficult a process development is. That’s why I always strive to avoid being too harsh in my reviews, even when a game has pissed me off with terrible design, and why you’ll basically never see me refer to any developer as “lazy.” I’ve read the nightmarish stories about crunch and its effects on people’s mental health and family lives. I’ve witnessed great game ideas utterly fail in their execution due to corporate intervention, budget cuts and other development disruption. 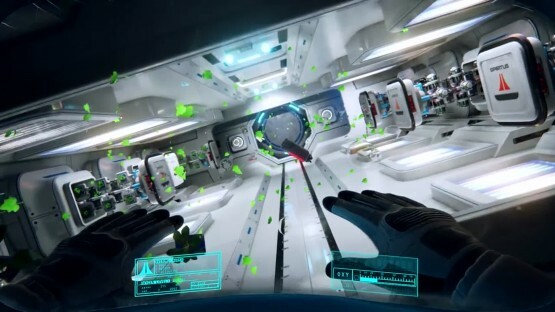 And while I don’t know what exactly happened with Three One Zero’s “First Person Experience,” ADR1FT, I’m incredibly bummed out by how little enjoyment I got from it. This one’s a crushing disappointment, and what’s most baffling is that many of its biggest flaws seem to come right at the basic design level. …Until you start exploring and realize just how poorly designed this space “adventure” is, something that honestly pains me to say. There are so many things to talk about, it’s difficult to find a place to start — so let’s just begin with two basic elements, the controls and UI, which are botched in such a way that it becomes a) obnoxious to navigate amongst the rubble and b) physically nauseating on occasion. Alex’s suit sways with every tilt of an analog stick or press of a trigger, occasionally obscuring the crucially-important map and oxygen meter, and making the basic act of moving an unpleasant chore. I felt quite sick during some sections as even the smallest debris or foothold seemed to send me careening, and slowly snapping back into an upright position with a press of the left trigger generally increased my nausea rather than alleviating it. I can’t imagine what this game must do to people in VR. But let’s talk basic game design for a second. I suppose ADR1FT would fit into the genre of “Walking Simulators,” those quirky indie games that reveal their narrative through observations you make while simply walking around their worlds (in this case, I guess it’d be a “Gliding Simulator,” but that’s just a technicality). Oftentimes, these games allow you plenty of time to stop and smell the proverbial roses, making environmental observation a key facet of their appeal. But while there are plenty of audio logs, email terminals and other things to check out along the walls of the destroyed space station here, I found myself rather unconcerned with them thanks to the aforementioned oxygen meter. For the early part of your adventure, this thing absolutely buries any enjoyment you might have with the one element the game does well — the atmosphere — by forcing you to move in a linear path from one upturned box of oxygen canisters to the next. It also ruins the immersion: if this is supposed to be a First Person Experience (a phrase Three One Zero actually went out of their way to trademark), why am I being guided from place to place so obviously, and why do I have to sit through a 30 to 45 second load time whenever I screw up and run out of oxygen? Even if you go to check out those audio logs and emails, ADR1FT doesn’t really have a great story to tell, nor does it make much sense. In games like Gone Home, the lead character was discovering things right along with the player. Here, though, we’re playing as a woman who basically just experienced all the things she’s reading about in emails and listening to in audio logs. Why would she be stopping in the wake of a horrible tragedy, and in the middle of a dangerous situation, to slowly re-examine things that just happened? Plus, when it comes right down to it, the story itself seems wildly miscalculated — it’s framed as a tale of a large-scale disaster, but tries to zoom in close for the intimate details you’d see in something like Everybody’s Gone to the Rapture. What happened to rip this space station to pieces and kill most of the people inside? I won’t spoil that for you, but I will say that the narrative seems a lot more concerned with the personal drama of the frankly insufferable inhabitants than it does with explaining what I, and many other players, wanted and will want to know. Call me heartless, but the more I learned about the folks aboard the Northstar IV, the more I didn’t care what happened to them. ADR1FT may have atmosphere, but it doesn’t have much else. I wanted to like Three One Zero’s lonely and despairing adventure into a destroyed space station, but it seemed to resist being enjoyable at every turn. What really confuses me is that so many of its problems seem to stem from the conception level, including a bizarrely wrongheaded narrative, terrible controls and a mystifying lack of freedom thanks to the oxygen meter. In fact, I’m not sure it was such a good idea in the first place, which is why it makes me cringe to think of the time and energy its developers put into realizing it. I would never presume to know their experience and call it a waste, but the wait certainly won’t have been worth it for most of its players. 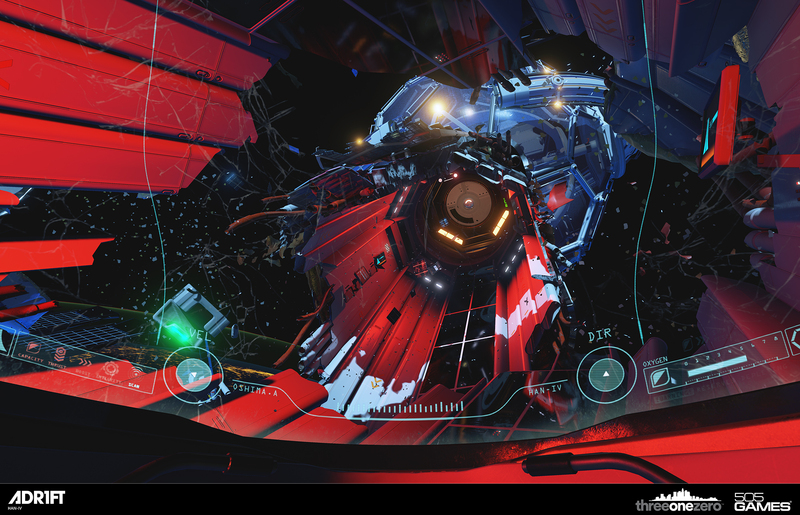 Review code for ADR1FT provided by publisher. Reviewed on PlayStation 4. For more information on scoring, please read our Review Policy here.